It’s essential that Nagasaki’s devastation should “not be forgotten” now or in the future, if the threat of nuclear war is to be lifted, said the Director of the Japanese city’s Atomic Bomb Museum, ahead of a visit there on Thursday by the UN Secretary-General. António Guterres was in Tokyo on Wednesday where he held talks with Prime Minister Shinzo Abe before traveling west to to meet with the Mayor of Nagasaki and participate in the 73rd Nagasaki Peace Ceremony. 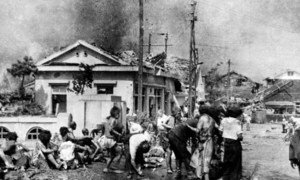 The number of survivors of the bombing of Hiroshima and Nagasaki – or hibakusha as they are known in Japanese, is decreasing each year. Japan’s health ministry says that as of last March, only 155,000 survivors remain, with 90,000 having died over the past decade. 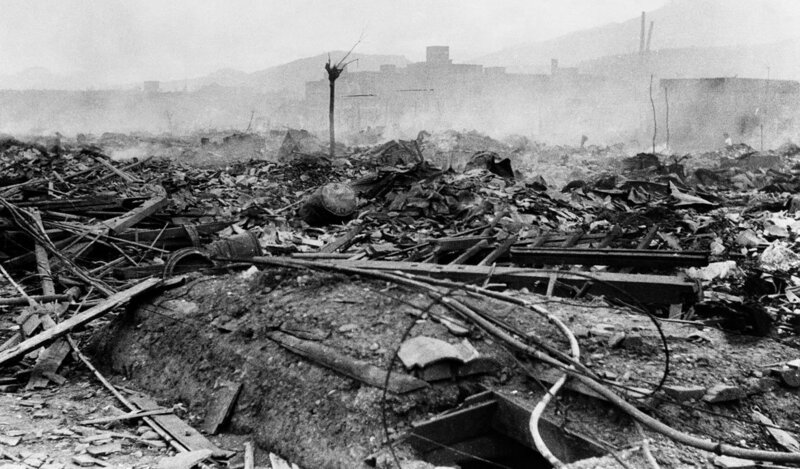 Moreover, the number of survivors directly exposed to radiation in the cities and their surrounding areas, has dipped below 100,000 for the first time, with the average age being 82 years old. Before the commemoration, Akitoshi Nakamura, Director of Atomic Bomb Museum spoke to UN News. Having started working at the Museum 60 years after the second atomic bomb was dropped on Nagasaki, just three days after Hiroshima, Mr. Nakamura enthusiastically shared the citizens “high hopes” as they “eagerly” await Mr. Guterres’ arrival. “We are, from the bottom of our hearts, welcoming the SG’s visit here,” he asserted. Laying out plans for the Secretary-General’s visit, Mr. Nakamura shared his hopes that the UN chief would join local children in making origami cranes, a symbol of peace, before touring the museum where highlights include a clock that stopped at 11:02 am, when the bomb was dropped; documents charting the catastrophe after the bombing; and the broken belfry dome of the Urakami Cathedral. “What is most horrific is the effect of nuclear radiation, so we would like him to see the documents and panels that show the effects of nuclear radiation on health,” Mr. Nakamura elaborated. The museum traces the catastrophe that unfolded after the bomb. “We want people to see what a horrific weapon an atomic bomb is, and the kind of devastation over 14,000 nuclear weapons around the world can bring,” Mr. Nakamura stressed, explaining the museum’s aim to eliminate stockpiles of nuclear weapons, by illustrating the horrors they inflict. “The two atomic bomb museums, in Hiroshima and Nagasaki, are about something that happened in the past, but they also are important in the sense that they trigger an awareness of the danger that nuclear weapons may cause in the future,” he said. After 73 years, Mr. Nakamura does not want the experiences of the dwindling number of survivors to be forgotten along with them. “We, the citizens of Nagasaki, have been appealing to the world to make Nagasaki the last city devastated by an atomic bomb,” he said. As hibakusha numbers decline, education that carries on their voices becomes ever more important.